Pretty much how I feel about this movie trilogy too. There are few moments I enjoy more than transporting to Middle Earth in the Lord of the Rings film trilogy by Peter Jackson. From the day I started reading LOTR (a very heavy and dense book) to the first viewing of each film to buying the extended version on DVD to watching every minute of bonus & commentary on those DVDs...I love this trilogy. I love that you can feel how committed everyone was who worked on this film. I love the details that don't even make it into the camera's lens but are still there, like special linings in the costumes, designs on the horses' saddles, crown moldings on set decor that isn't even in the shot. I love that New Zealand was basically put on the map by these movies. I love learning about hard-core fans like Stephen Colbert & Christopher Lee who immersed themselves in Tolkien as young boys and found a special place that has been brought to life. I love how magical this world is and the elves...oh the elves. So when it was announced that the Hobbit was going to be made into a film(s) and Guillermo del Toro would direct, I was beyond pleased because this was the only other guy I'd trust to pull off a companion movie so important. So announcements and anticipation but then nothing. The financing and rights talks stalled and things got weird so after many delays. Eventually del Toro pulled out because he had other stuff to do--like make Pacific Rim (which I also love)--and Jackson who was only originally going to be producing The Hobbit, retook the director's chair. This was of course after his tiresome movie King Kong had come out. A movie which tried my patience and made we feel a twinge of Lucas-itis, where a successful director is given too much free reign to indulge all of his great, good and questionable ideas. For my taste, Jackson dwelt too long on creature scenes and frankly remade a movie that didn't need remaking. Now, I'm not sure who's decision it was to make the thin tome of The Hobbit into 3 separate, 2+ hour movies, but it forced the team to dig deep into the appendices and essentially bloat the films. I think there is something to be said about brevity, not outstaying your welcome and honoring the original story. A story which, and I know it is sacrilege to say, I still have not read. While I scrambled to read the three books of LOTR prior to each film's release, I felt no urgency to read the Hobbit. I'm not sure if it was laziness but if nothing else, I just wanted to be surprised. And I was surprised...by the fatigue and weariness I had after seeing each film. Don't get me wrong, I love a good battle scene. LOTR's the Battle of Hornburg and the Battle of Pelennor Fields are AMAZING in the emotional buildup, choreography and technical execution. And for both of them, I could feel what was at stake and why winning was so important. After ruminating on it for a few weeks, I think the difference between those battles and the Hobbit's Attack on Lake-town and the Battle of the Five Armies is that the emotional heft isn't there and I really don't give a damn about the characters, all told. Even Legolas, my clear favorite in LOTR was uninspired and unremarkable in the Hobbit. Maybe this is the danger of trying to capture (what's the saying?) 'lightening in a bottle' twice. A lot of people freaked out when Jackson added a female elf who was not an original character in the canon whatsoever. I certainly didn't mind her because otherwise there are no women in the major plotline. In LOTR, both Eowyn & Arwen have significant contributions and remain throughout in the entire story, with cameos by Galadriel. Notably it's been reported that the negotiation and production phases were riddled with trouble, and I think some of that troublesome element finds it's way into the final product. 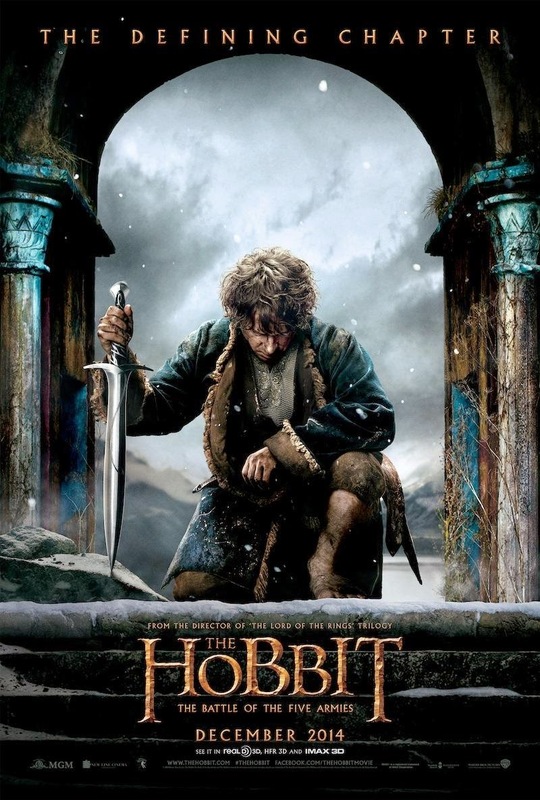 Where LOTR is buoyed by clarity, commitment and an authentic emotional journey, the Hobbit attempts to rekindle that in the dwarf company but falls short. Despite owning the first 2 Hobbit films now, I've not attempted to watch them yet. When the last one is out on DVD/BluRay, I do hope some enterprising fan will take all 3 Hobbit films and edit them down into a concentrated 3-4 hour movie, which may strengthen the emotional narrative and cut the extraneous side stories that detract from the main story. This saddens me though because while Peter Jackson's Hobbit is worthy, it is not transcendent. So perhaps I expected too much. I once worked in mobile games as a product manager. I was, and still am, the target demographic (female, 30's-40's, smartphone user, casual game player) for most of the games we made. I really loved bringing games out that I myself would want to play too. Since having children though, it's been hard to enjoy them. Time is really a factor now so I don't have much room for digital games in my life because of the sheer amount of "time-suckage." But given my deep, abiding love of sharks, there are certain exceptions that will be made. Just yesterday I made the most wondrous discovery in the final throes of 2014: a gorgeously playable sharky mobile game called Hungry Shark Evolution. I don't know what I love better, the beautiful graphics and responsive tilt functioning or getting to eat swimmers, cage divers(!) and fisherman as an enthusiastic Hammerhead shark. Oh and the Jellyfish, Angler Fish, Frat guy riding a Great White Shark and giant pissed-off crab can EAT ME--or at least try, B*tches. Thank you Future Games & Hungry Shark Evolution for making my 2014 "Shark-eriffic" all the way to the very end!